We are pleased to announce that we are offering a super special promotion rate for our Cutera Laser Spider Vein treatments. 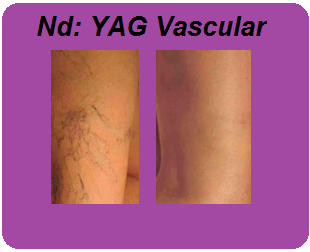 Cutera Laser is the first clinically effective long-pulsed Nd:YAG laser for both facial and lower extremity vascular lesions. The Cutera Laser vein treatment offers you a noninvasive alternative for the clearing of spider veins with no incision, no downtime and minimal discomfort.